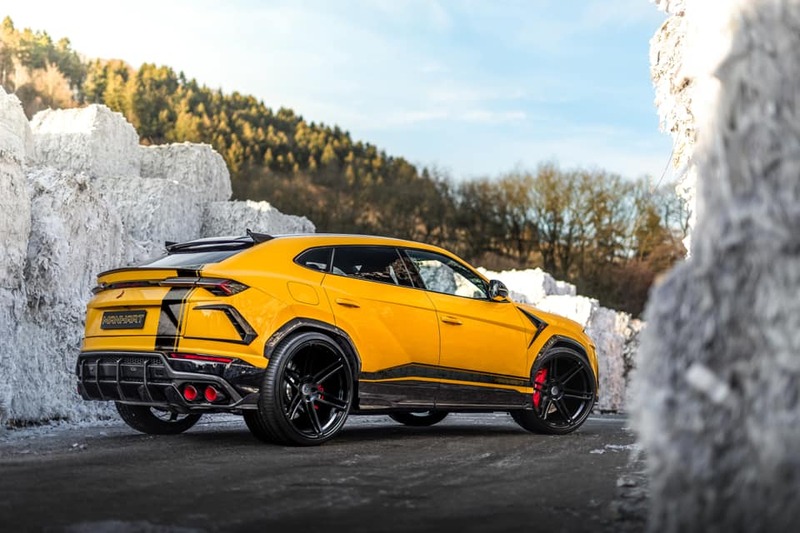 We generally associate Manhart Performance with some truly radical BMW creations but it seems they are widening their offering with the super SUV from the Italians, the Lamborghini Urus. 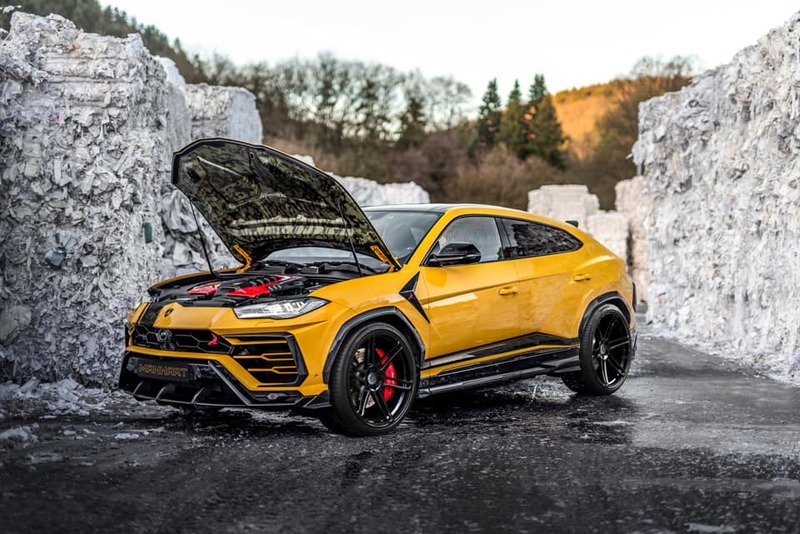 It is called the MH800 and you likely guessed that is associated with the new power output of the brute which has been upped to 812 hp (605 kW) and 980 Nm of torque. This was achieved thanks to a new turbocharger, a sports exhaust system, some chip tuning and an update on the eight-speed automatic transmission. This results in a sprint to 100 km/h of less than 3 seconds and a top speed beyond 300 km/h. As you can see they have given it a unique styling thanks to a host of forged carbon add-ons. This includes a mean front end lip, hugely prominent side skirts, wider wheel arch extensions, a small spoiler on the roof and a carbon fibre bonnet. This kit is actually done by TOPCAR which we have shared on Zero2Turbo before. They have also fitted some enormous wheels which “hide” red calipers to match the red insert of the exhaust pipes which are likely modified to produce an angry tone. Is it too much or does this tick the boxes for you?